More about each speaker can be found here. The town hall will take place the day after critical Maryland Senate Judicial Proceedings Committee hearings on police reform legislation supported by MCJE and MCCRC. 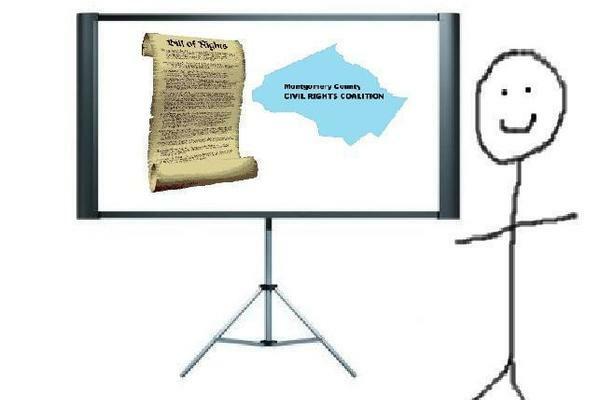 So come prepared learn about how those hearings went, and come prepared to call, text, email and/or tweet selected Annapolis legislators about reform bills like SB0566 (law enforcement officer ‘Bill of Rights’ (LEOBOR) reform) and SB0653 (state prosecutor for police-involved deaths). Co-sponsors include ACLU Montgomery County, Bill of Rights Defense Committee, Council on American Islamic Relations (Maryland), Defending Dissent Foundation, and HandsUpCoalition DC. Watch this space for updates on speakers and co-sponsors. #BlackLivesMatter on the streets today — in the State House tomorrow! EDITS: 2/19: Mr. Dennis is no longer an NAACP Regional Field Director. We mistakenly indicated otherwise, and regret the error. 2/20: ACLU Montg. 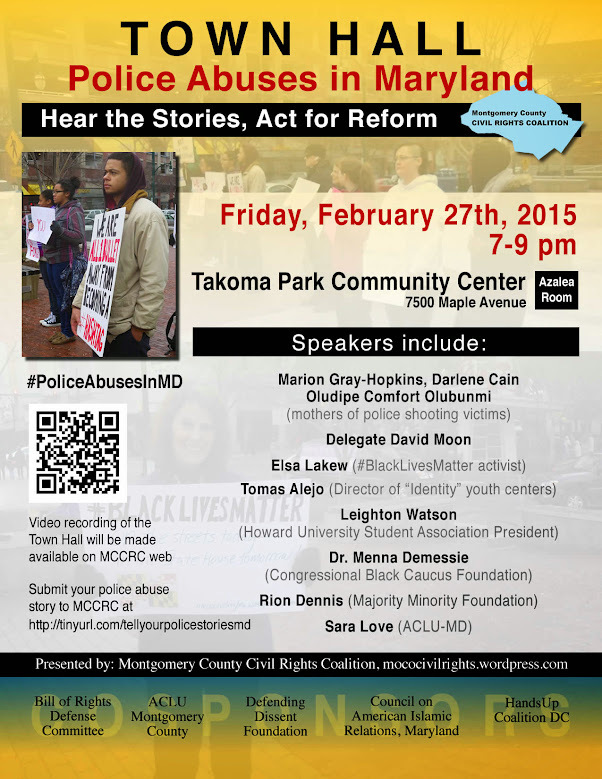 County and HandsUpCoalition DC added as co-sponsors. 2/25: added links to subsequent posts about speakers and Maryland Senate committee hearings. This entry was posted in Post and tagged coalition, event, forum, police reform. Bookmark the permalink.